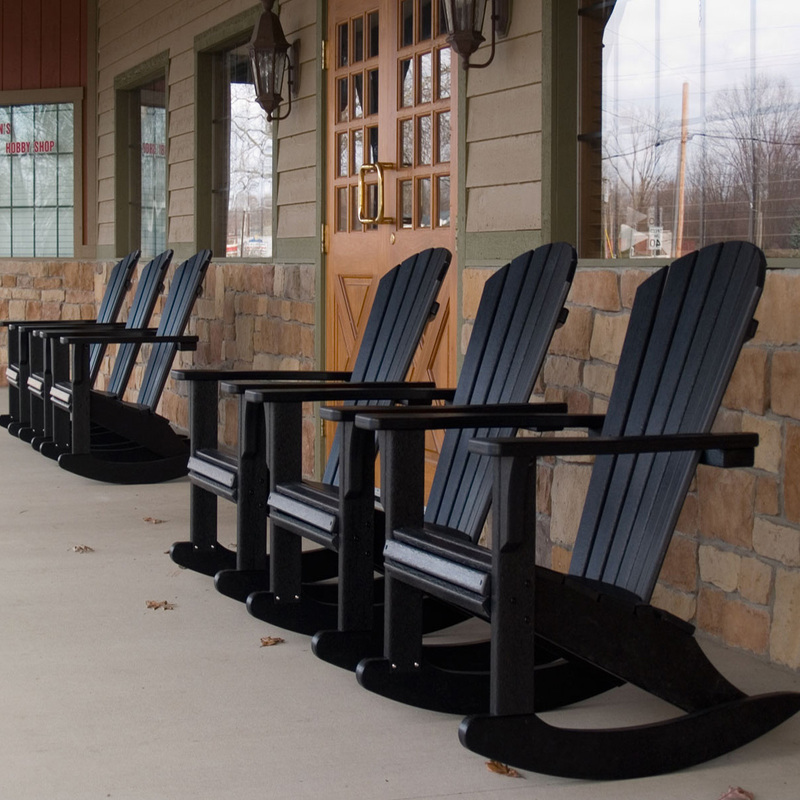 A rocking chair is a traditional symbol of relaxation, to slow down life's hectic pace and indulge in its gentle swaying. 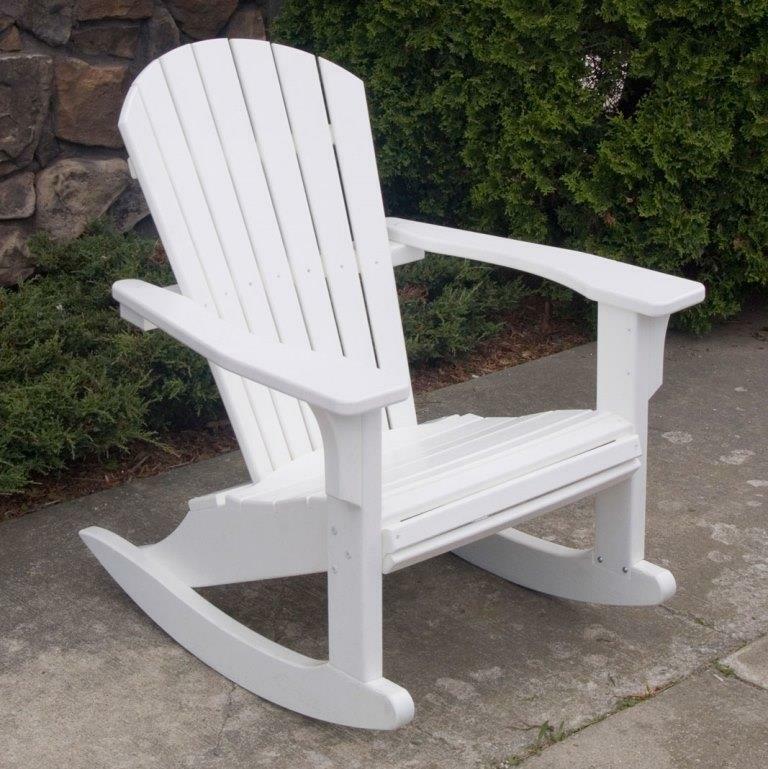 The POLYWOOD® Seashell rocker chair from Outdoor Furniture Plus is a thoroughly modern take on a time-honored classic. 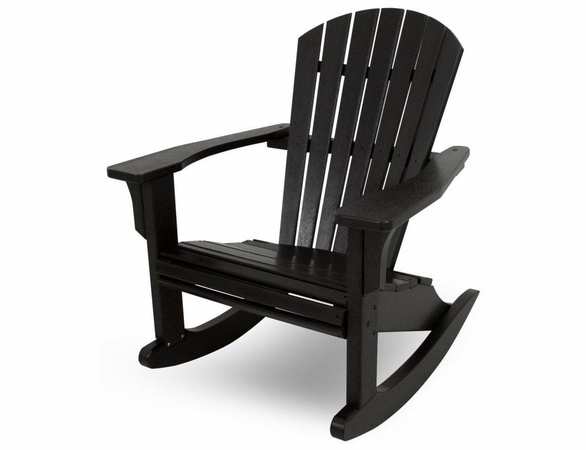 It has the look of finely crafted wood with a wide backrest for comfortable support and gently angled seat that cradles the body. 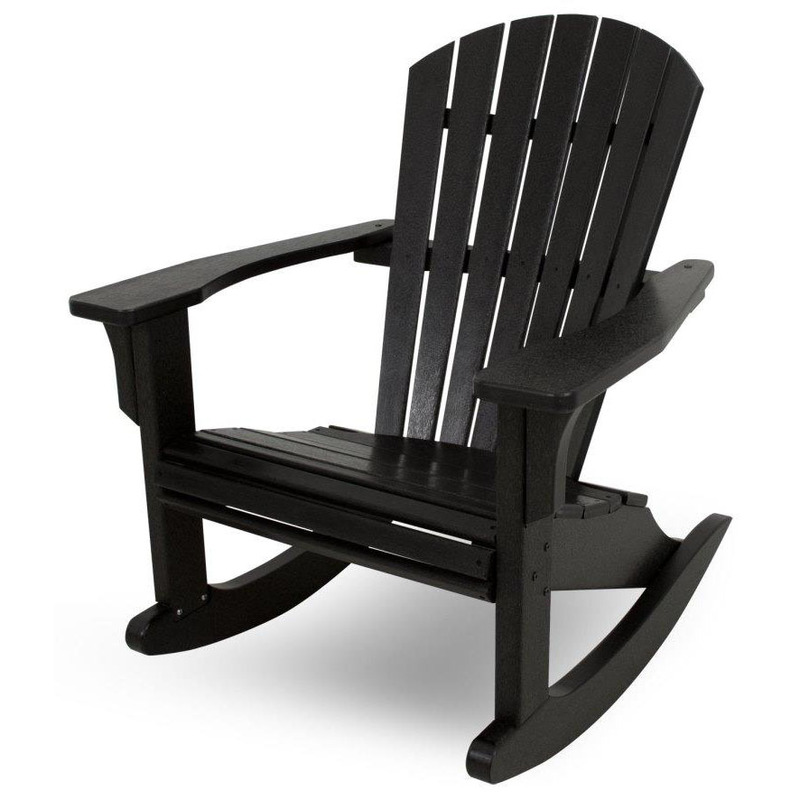 However, instead of being made from wood, this fanned back rocking chair is constructed of high-density polyethylene (HDPE) using recycled plastic jugs and other waste material. 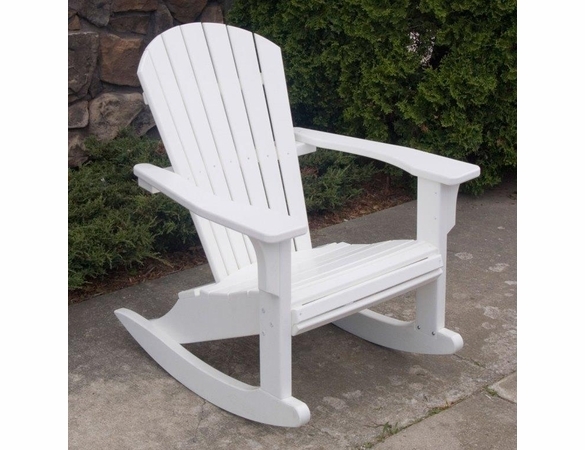 This results in an eco-friendly and extremely durable resin seashell chair that far surpasses wood in its weather resistance. 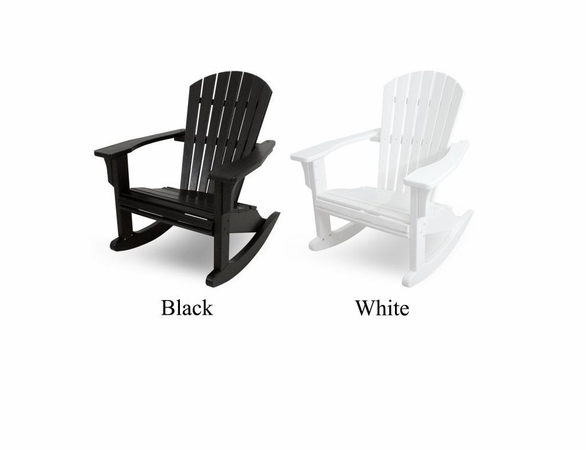 Choose from a black or white frame color and various fabrics for optional cushions. 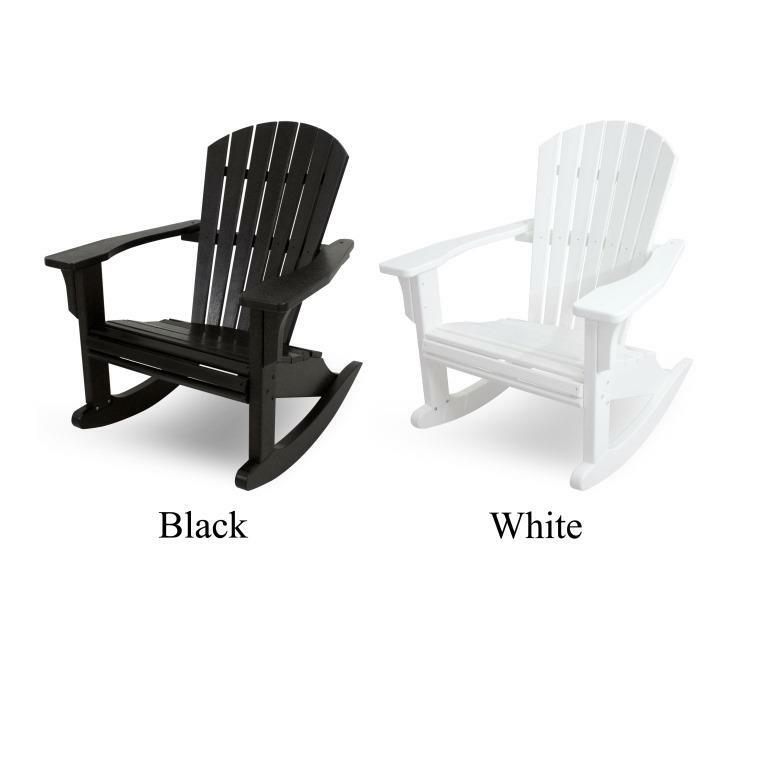 Also available in the Outdoor Seashell Collection is an Adirondack chair, a seashell dining chair and an ottoman. 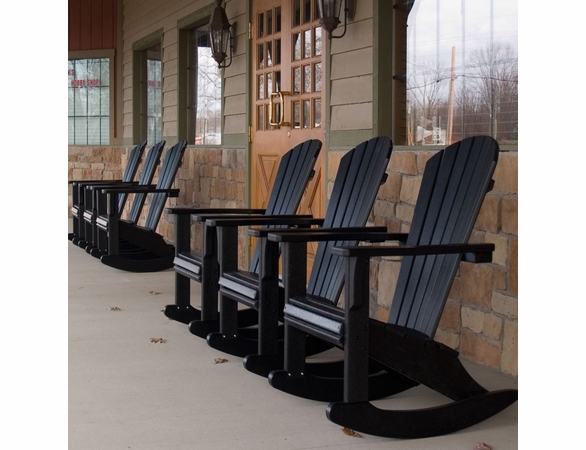 If you're looking for a POLYWOOD® rocking chairs sale, see the POLYWOOD® Collections. W:31.25" x D:33.75" x H:37.25"